In most homes, there is a driveway to ensure the safety of the cars and some other things. 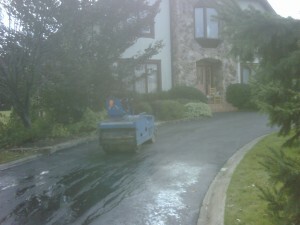 Taking care of this driveway space is important for the protection of your own home or building. It could enhance the look of your property as well. Driveways and garage floors last longer if they are constructed properly. However, the usage of it can affect its appearance. The pressure these floors experience everyday causes them to deteriorate. No one wants to park or come in a driveway with lots of potholes and cracks. It makes you feel perilous and hesitant to drive in, plus it can also damage car tires eventually. So, why take care of those holes? Sealing and crack filling would help prevent water from infiltrating the pavements. Fixing or filling the potholes before it become severe is necessary to extend the life span of the pavement by approximately three to five years. During winter, this would also help you secure the safety of your place. Slowing the deterioration of your pavements means keeping water out. 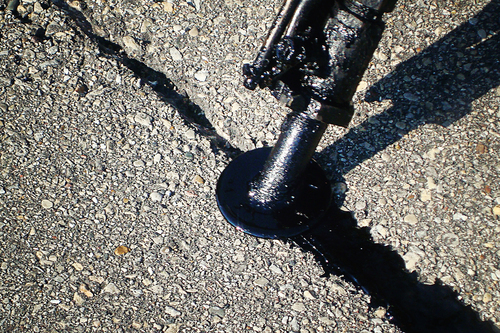 Additionally, sealing and crack filling will provide you a prudent and enduring pavement. When pavements move, the cracks broaden so fillers become relevant because it doesn’t expand or contract. Using flexible rubberized asphalt that binds or seals the cracks will prevent water intrusion. Applying this on your driveways or garage floor can help you save for any future expenses because of damages and maintenance. In ensuring the structural capacity and limiting depreciation, sealing and crack cracking restriction are very useful. These asphalt cracks because of dry weather. When the ground is dry, it causes the asphalt to tear apart and crack to rise. Another, factor is the tree roots. They look for moisture, and since underneath the asphalt is usually moist, this entice them. So, making a proper landscape outline that doesn’t contradict with the layout and location of your driveway is needed. If you have pavement problems, it would be recommendable to check the holes right away and get them fixed. Inspect your driveway. There are couple of sealing and filling products that you can buy, however, it is advisable to seek professional help. These types of repairs need skills and expertise to ensure a good outcome. With this in mind, we at the Progress Paving offers assistance that you need. We assure quality work and that we use the proper asphalt for your potholes, cracks or pavement problems. Our experience for over 50 years implies our dedication to the business we have.